Whether you run a small, medium or large business, the safety of your employees is your responsibility. Your team faces a number of health and safety hazards on a daily basis, and it’s down to you to ensure the risks are kept to a minimum. Many of the things you can do are obvious, such as ensuring the right equipment is available for your employees to use and that safety procedures are in place. There are, however, many other things you could be doing to keep your employees safe. Here’s a list of ten things you need to focus on when creating your workplace safety checklist. The correct type of lighting has an important part to play in the prevention of accidents and eyestrain. In an office environment, employees who work at a computer for most of the day need adequate lighting to prevent straining their eyes; and it is required to have lights in stairwells to avoid accidents. Outdoors, lighting is also necessary so that your employees and visitors can move around safely. Staircases must be kept clear of trip hazards such as boxes or tools. They should also be adequately lit and have signage to avoid trips and falls. This applies to staircases both inside and outside your building. Providing the correct footwear for your employees is essential. If your business is in an industry that requires your employees to wear protective footwear such as steel-toed boots or shoes you need to ensure this footwear fits them properly. Floors must be kept clear of any debris and other items that could pose a trip hazard. Any spills on the floor should be mopped up, and the area cleaned immediately. Even the smallest drop of oil on the floor could cause someone to trip and injure themselves. If the spillage is oil, the best way to deal with it is to cover it with an absorbent substance. When the spill is the result of a leak, it should be identified and fixed as soon as possible. Even if you take all the necessary safety precautions, there could still be an accident and an employee injured. The workplace should have a fully stocked first aid kit that everyone has access to even if the injury is a small scratch. All injuries must be cleaned and treated immediately to reduce the chance of infection or other complications. It’s also a requirement for there to be a trained first-aider in the building. Depending on the size of your business you might need more than one. There should be emergency procedures in place, and all employees should know what to do in case of a fire, natural disaster or injury to another member of staff. All exits in the building should be marked and have the proper signage. Emergency contact numbers should be in clear sight. Make it a part of your routine to review your emergency procedures and ensure all employees know what they have to do. Keeping the workplace clean is the responsibility of everyone who works in your business. A workplace that’s unclean and untidy poses a health and safety hazard. In your restrooms, make sure they are cleaned at least once a day. In lunchrooms and cafeterias, encourage your employees to clean up after themselves and provide adequate facilities for the disposal of their waste. The type of personal protective equipment you provide depends on the kind of business you run. It could include hard hats, safety goggles, protective outerwear, gloves, footwear, and safety harnesses. FR apparel may also be needed where fire, sparks, heat or arc flash are present. Click here if you want to learn more about this type of protective equipment. If machines or power tools are used in your business, they must always be in good working order, regularly inspected and well maintained. There should be no rust, and the machine guards and other protective pieces should be in good condition. Any employees who have to use the machinery or tools have to be correctly trained. There may be areas in the workplace where surfaces are elevated, and these can be a trip hazard. Mark these areas well with warning signs so that your employees are aware that there is a change in elevation. These are the ten most important areas to consider when thinking about the health and safety of your employees. The safety of the workforce is your responsibility; however, your employees are responsible too. They should be encouraged to report any issues or hazards they find. Aside from keeping your employees safe, there are several more reasons why you have to be aware of health and safety. 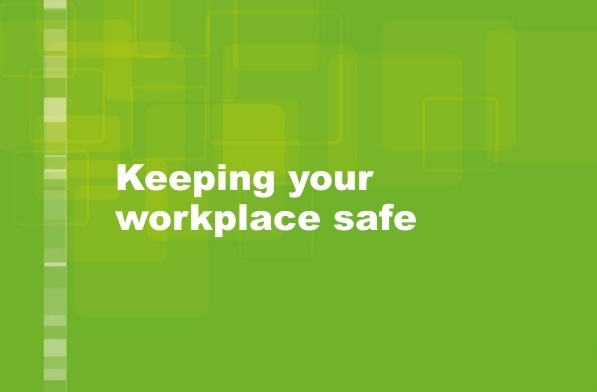 A safe workplace will produce happier employees, and the level of absenteeism will drop. The number of employee insurance claims also decreases when the workplace is a safe environment. Most important of all, providing a safe environment for your employees reduces business costs and disruption. Accident investigations – shows employees how to handle an accident investigation and respond to any queries. Basic First Aid – provides first aid tips to help employees address burns and any other workplace injuries. Blood-borne Pathogens – helps employees understand what they should do if they’re exposed to Hepatitis B, HIV or any other blood-borne pathogens. Cardiopulmonary Resuscitation (CPR) – shows employees what they have to do if they need to administer hands-only and mouth-to-mouth resuscitation. Any safety training program you decide to introduce must be regularly reviewed and updated. Keeping your safety program up to date ensures all your employees receive the training they need to reduce or eliminate any workplace emergencies.